Carlisle, PA’s Tuckey Mechanical Services, Inc. has helped countless businesses in the central PA area resolve their plumbing problems quickly and affordably. As a local business, we understand the strong negative impression plumbing issues can have on your customers and the inconvenience they pose for your staff. We’ll work with you to repair leaks, consult on new system designs and install your system on budget. From retail to food service and manufacturing, no job is too big or too small for our team. Contact the Tuckey Mechanical Services office to discuss your concerns and book an appointment at your convenience. In a large commercial facility, pinpointing the cause of a plumbing problem can entail a long, costly process of trial and error. That’s why it’s so important to have a team who knows what they’re doing – and has the resources necessary to do it right. Our plumbers have decades of experience that allows them to get to the root of the problem and find a creative, permanent solution. Don’t just put a bandage on an issue that’s sure to recur – Tuckey Mechanical Services repairs fixtures, pipes and appliances, and we can suggest infrastructural improvements that prevent the problem from coming back. Commercial plumbing installations have specific design considerations that must be taken into account. 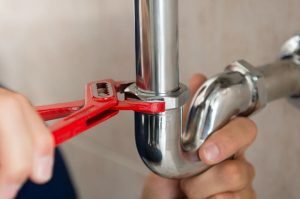 A plumber who specializes in residential service only is unlikely to have the skill set necessary to get the job done properly and on budget. At Tuckey Mechanical Services, we leverage our background in industrial fabrication and HVAC to provide expert commercial plumbing installations for Harrisburg-area contractors and businesses. From the initial design phase to the final testing, you’ll have our complete resources and collective expertise at your disposal as we work with you to develop the right plumbing installation for your business. Begin the process today by contacting our Carlisle office to discuss your project with one of our highly skilled commercial plumbers. A plumbing issue at your place of business has the potential to cause major damage if not treated right away. From water damage to increased humidity that can destroy perishable materials, waiting even a few hours to fix a problem can have serious financial consequences. That’s why Tuckey Mechanical Services is available around the clock for commercial plumbing repairs in Carlisle, Chambersburg, Harrisburg and throughout our service area. In addition to preventing damage and loss, getting back to normal quickly means returning to full productivity sooner. One call is all it takes to get a team member dispatched to your location. From Harrisburg to Chambersburg, Tuckey Mechanical Services is a valued partner to all central PA businesses. A member of the Tuckey group of companies, we have a more than 45-year history in our region, and we have developed long-lasting relationships with friends and neighbors in a diverse range of industries. In short, we know your business and your plumbing needs, and we will work to see they are met at a price that won’t break the bank. Find out more about any of our plumbing services by contacting our office today. 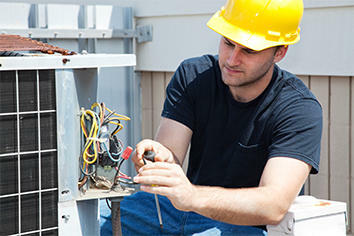 To contact a Carlisle, York, Chambersburg or Harrisburg damage restoration professional by phone, call (717) 249-3733. To make an online service inquiry, simply submit the convenient contact form and we’ll get back to you! "They were very professional, efficient, and thoroughly knew the workings of the equipment they arrived to fix. Also, they cleaned up the work site when the job was completed."